GEORGE TOWN (Dec 29): There are mixed feelings among Penang folk about land reclamation, especially the latest plan to create man-made islands off the southern coast of the island to finance the RM27 billion Penang Transport Master Plan (PTMP). 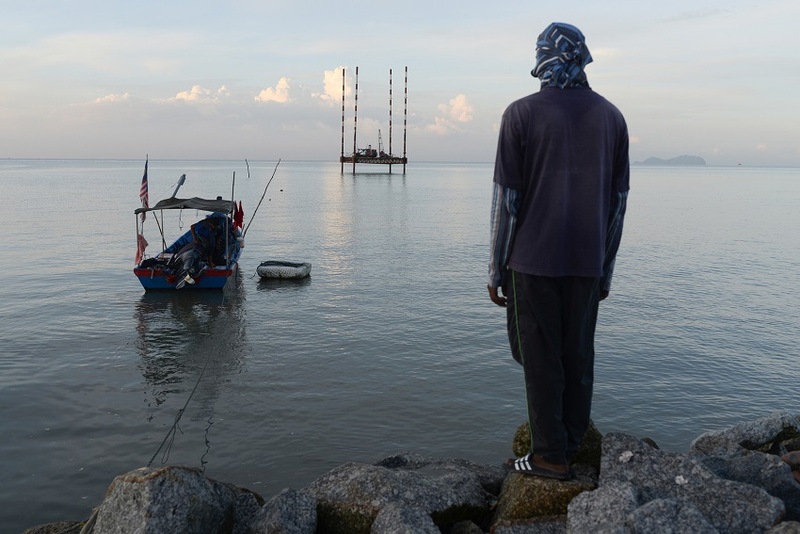 Fishermen in the area are unhappy with the proposal by SRS Consortium Sdn Bhd to reclaim two islands off the shore near Kampung Permatang Damar Laut in Batu Maung, and said that once that happens, their livelihoods will never be the same again. Fisherman Sharir Yusoff, 53, said it was already tough for the fishing community there with their catch dwindling, so talk about the land reclamation project is causing jitters. “Of course I don’t agree. A project like that will affect fishermen. And what about my house? Won’t it be in the way if they want to develop this area? “No… I hope my family won’t have to move. Who would want to move from a house in a village that has been home for decades into a cramped flat?” the Kampung Permatang Damar Laut resident told The Malaysian Insider recently. His sister Rosnida, 49, who also lives in the seaside village, said she, too feared for her home and the fishermen. “What the state wants to do to improve public transport and ease traffic is great. But they have to ask the people here, who would be most affected by the land reclamation, what they think and tell them clearly what they are to expect. “Will we lose our homes if the project gets the nod? There is much uncertainty now. But if the project proceeds, I am sure fishermen here will be affected,” she said, adding that there are some 15 fishermen in the area. Rosnida said the sea has changed in recent years due to the construction of the Sultan Abdul Halim Mu’adzam Shah Bridge, which was completed and opened to traffic early last year. “There is some siltation and sedimentation. The water is not so clear anymore, but it will improve with time. It is just getting better and now we hear about this land reclamation project,” the recently retired factory worker said. Their views are shared by other fishermen who depend on the sea south of the island for their living. Fishermen representing 14 units in the southern parts of Penang island recently staged a protest to voice their unhappiness with the proposal. They said the reclamation would destroy the breeding ground for fish and prawn, reduce the local supply of fresh seafood, drive up the prices, and be the “death of the fishing community” there. One of the fishermen who took part in the protest, Ang Hock Hin, 66, said he has been working as a fishermen since he was 12 and he knew everything about his trade and the sea. “You want to reclaim the sea? Great. But what about the fishermen? You will ruin the area where we fish, and the spots where the fish and prawns feed and breed. “It will destroy us. Are we to accept this proposal just like that? No, we have to speak up and let the authorities know,” he said. Batu Maung assemblyman Datuk Abdul Malik Kassim (pictured, right) said the 150 fishermen he met earlier this month to explain the PTMP and reclamation proposal had taken things positively. He said after it was explained to them that their interests would be protected and there were economic spillovers to be gained, the fishermen reacted more positively to the idea. Malik said two-thirds of the fishermen who would be affected by the reclamation were in his constituency. Meanwhile, Penangites not living in or near the proposed land reclamation project were more willing to accept the idea of man-made islands in exchange for the PTMP, like Green Laneresident G. Thiagarajan, 64, who called it “progress”. The former construction worker said people should not reject the proposal because it was crucial for the progress of the state, using Singapore’s development as an example. “There are land reclamations in many other countries, like Singapore. Where is Singapore in the world today? 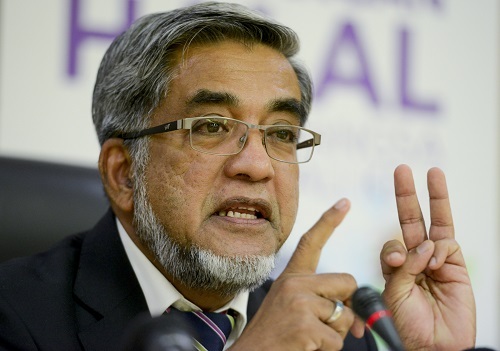 This is for the sake of Penang’s economy and future,” he said. Bayan Baru resident A Ganesan, 42, also did not object to the proposal to reclaim land, but said the state government must also remember that the biggest issues faced by Penangites are housing and making a living. “It is okay to reclaim land if it will bring good to citizens. So, we need to know what kind of development we can expect on those reclaimed land. Will they be for Penangites or for foreigners?” the taxi driver said.